This Reading List complements this Practitioner Handbook and is aimed at readers who require more details or are looking for additional context or further knowledge. 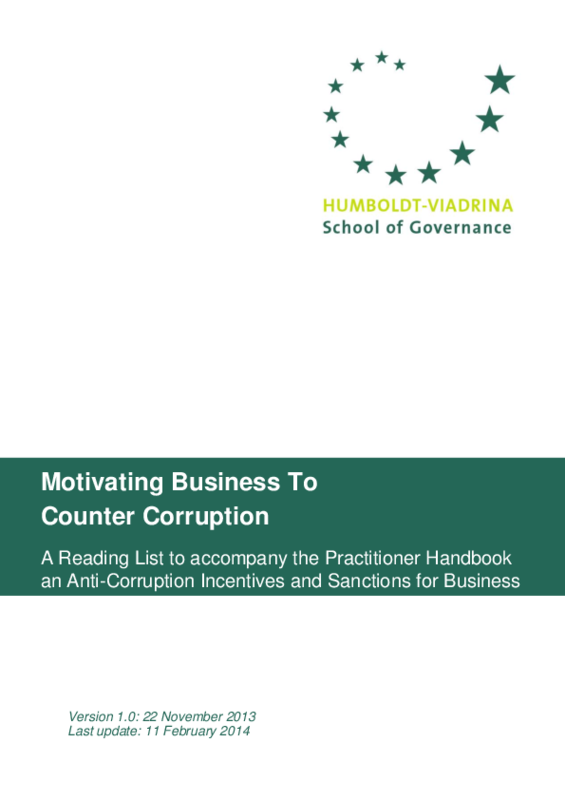 Part I contains readings regarding the importance and role of the different stakeholder groups in motivating business to counter corruption. Part II contains readings regarding the importance of a dual approach of applying sanctions and incentives. Part III provides readings on individual legal, commercial and reputational sanctions and incentives. Part IV provides readings on six principles that are key to the successful application of sanctions and incentives.